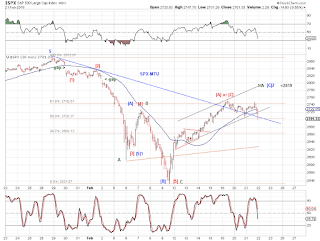 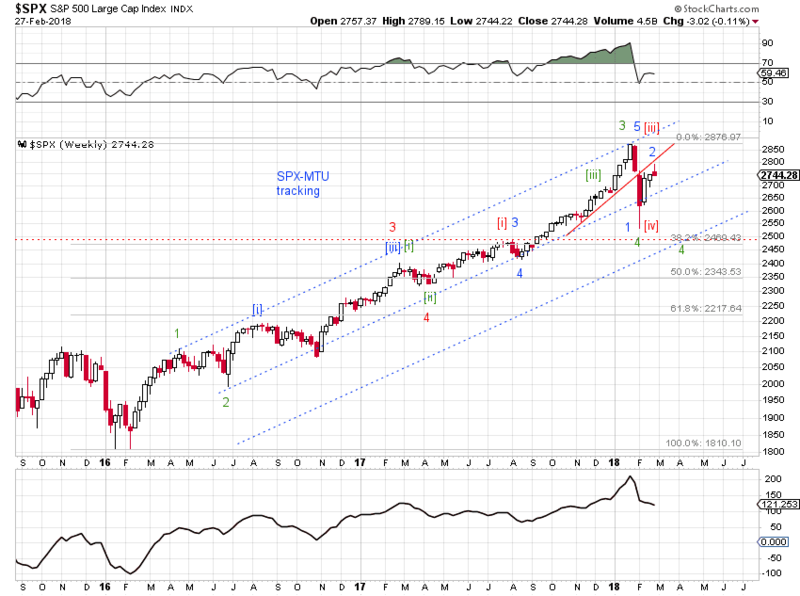 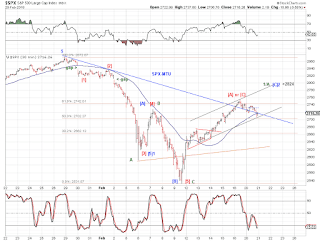 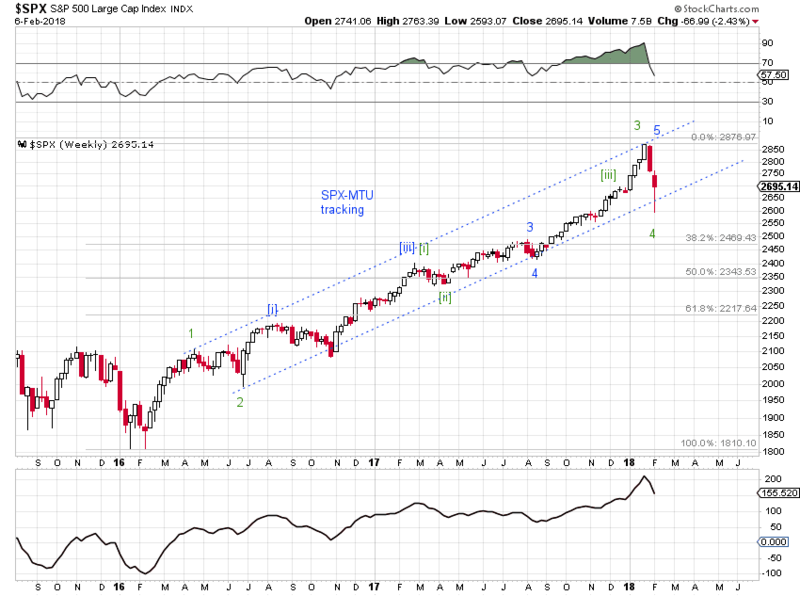 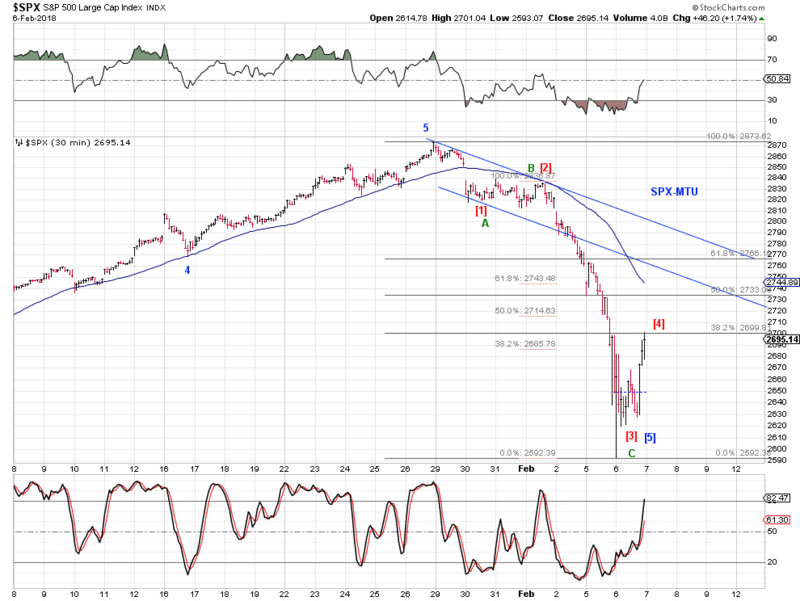 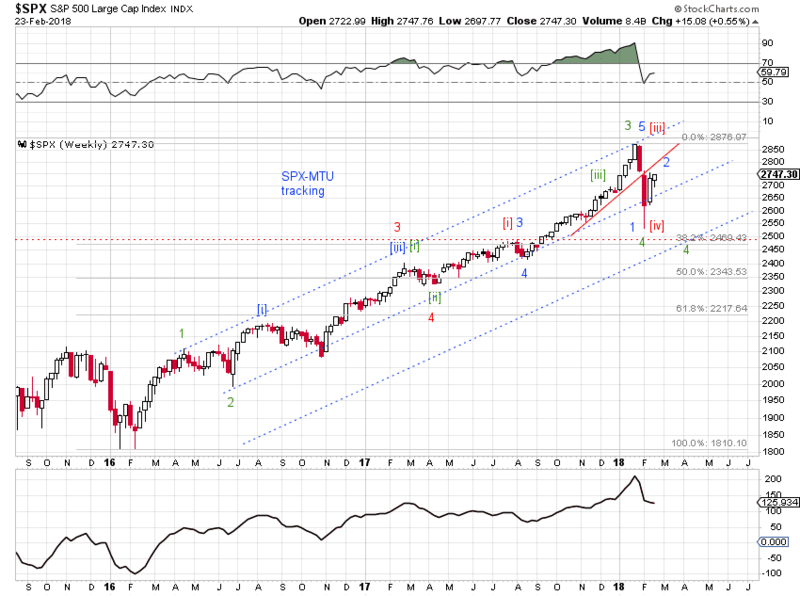 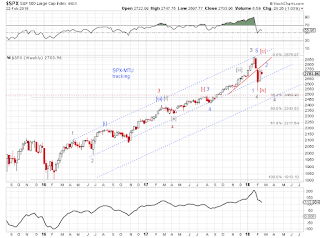 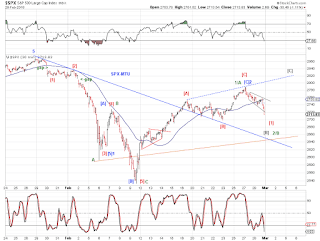 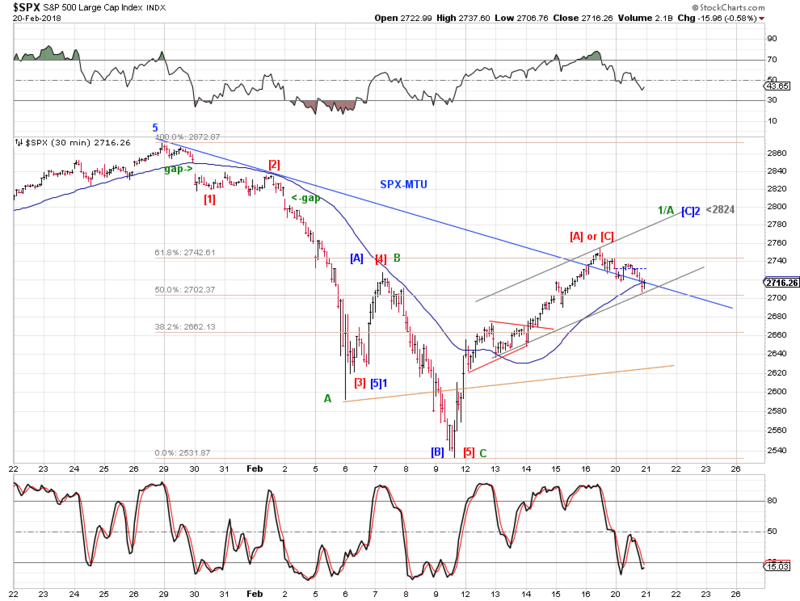 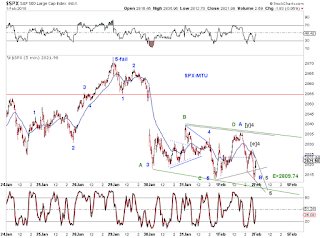 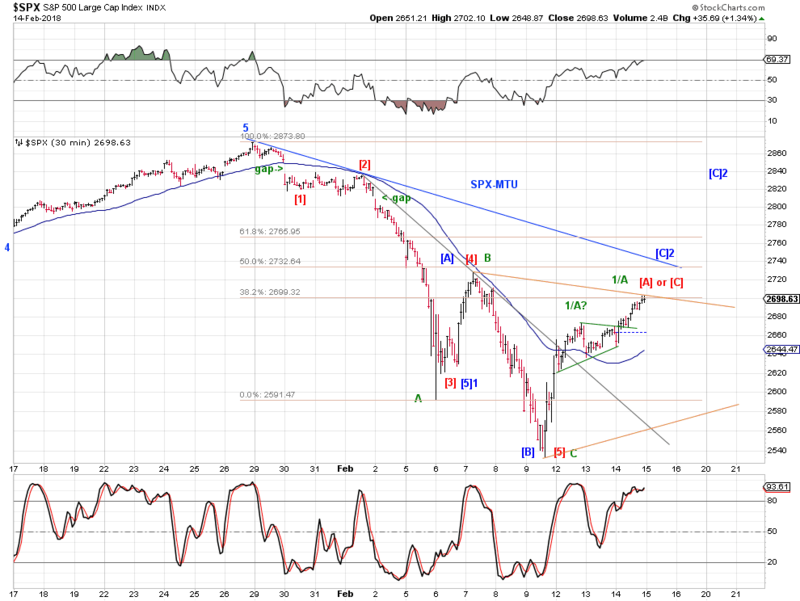 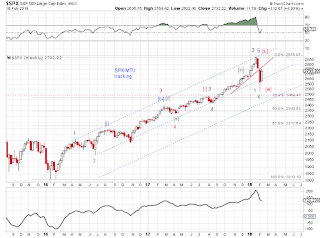 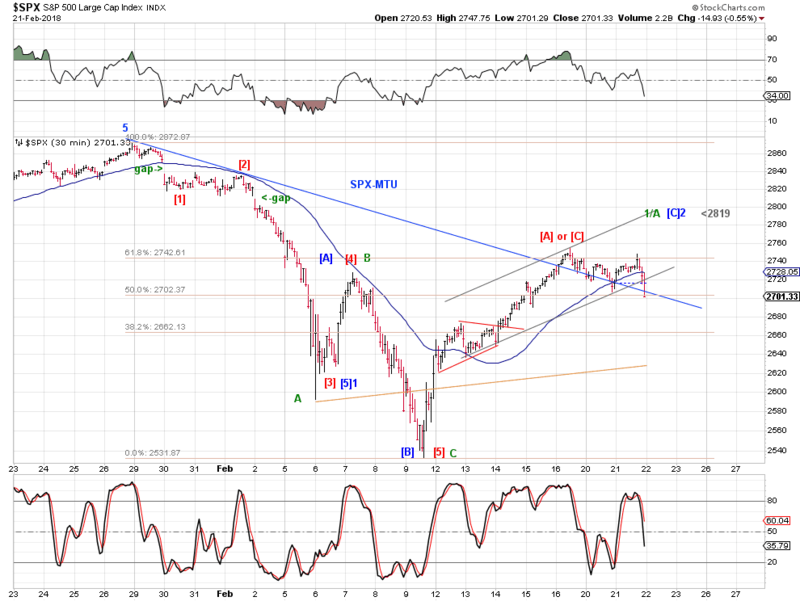 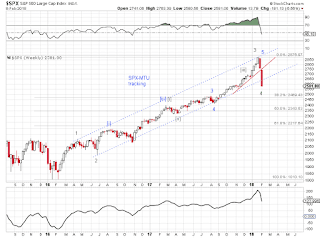 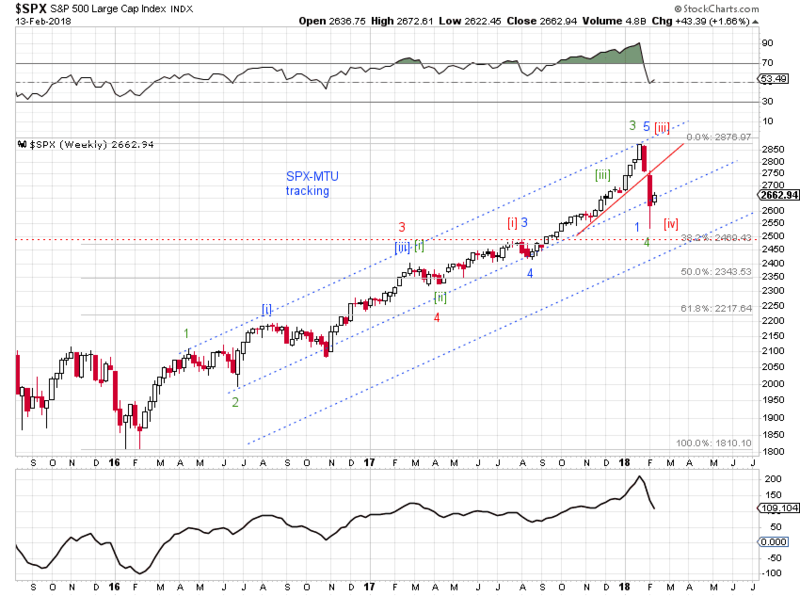 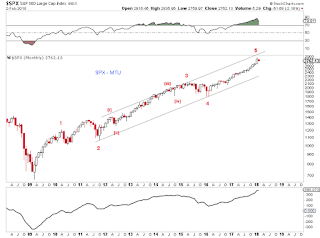 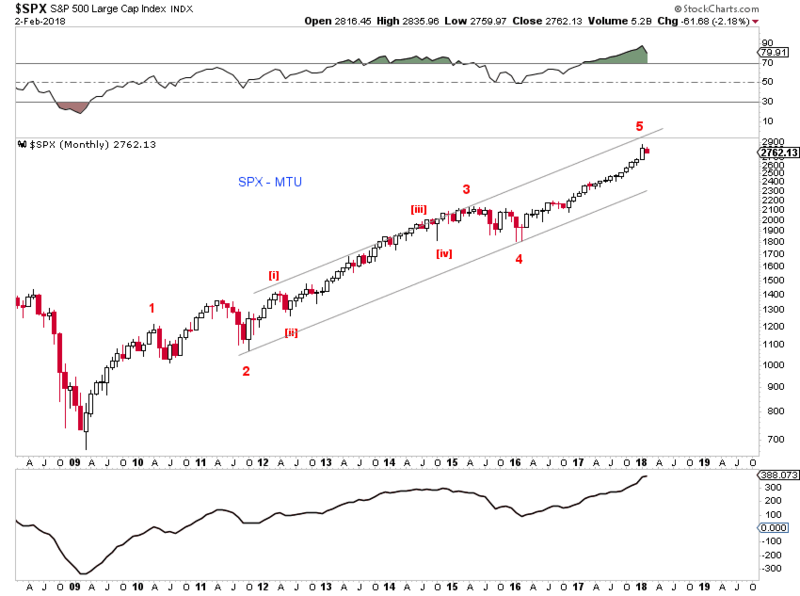 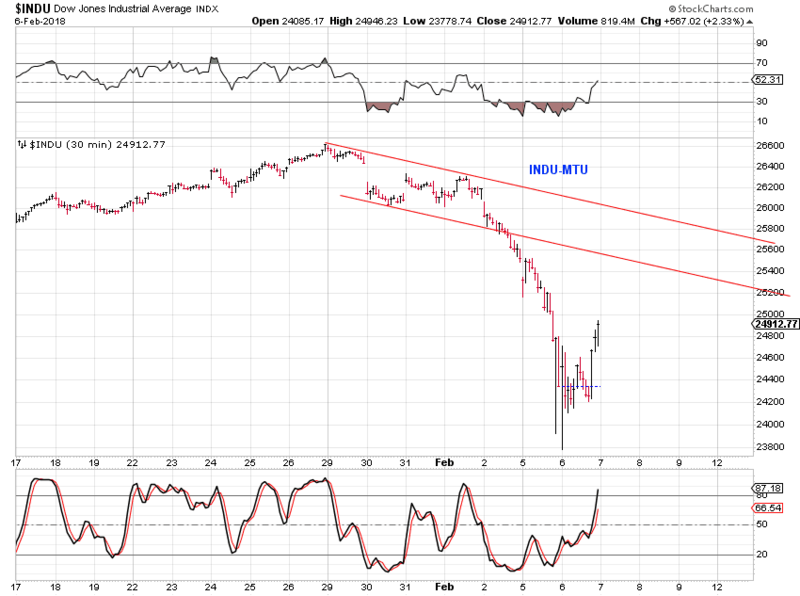 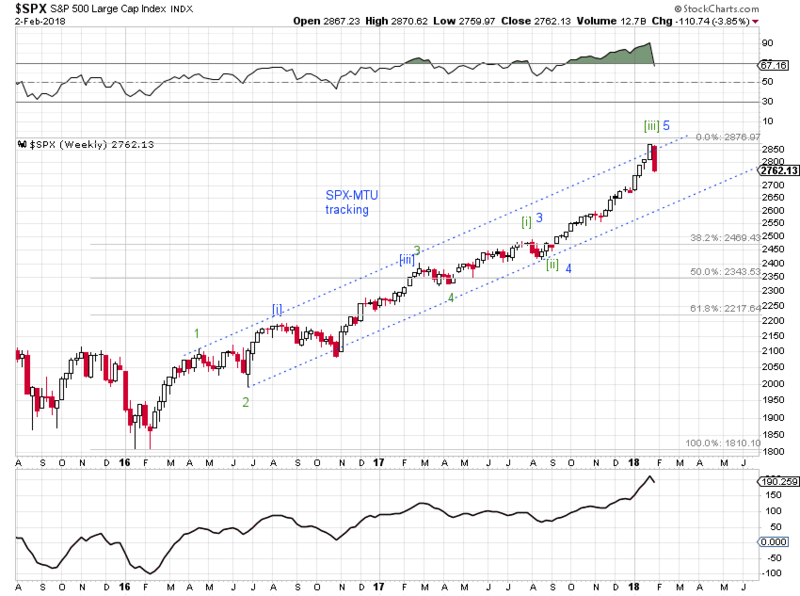 SPX is trying to regain the channel (Chart 1). 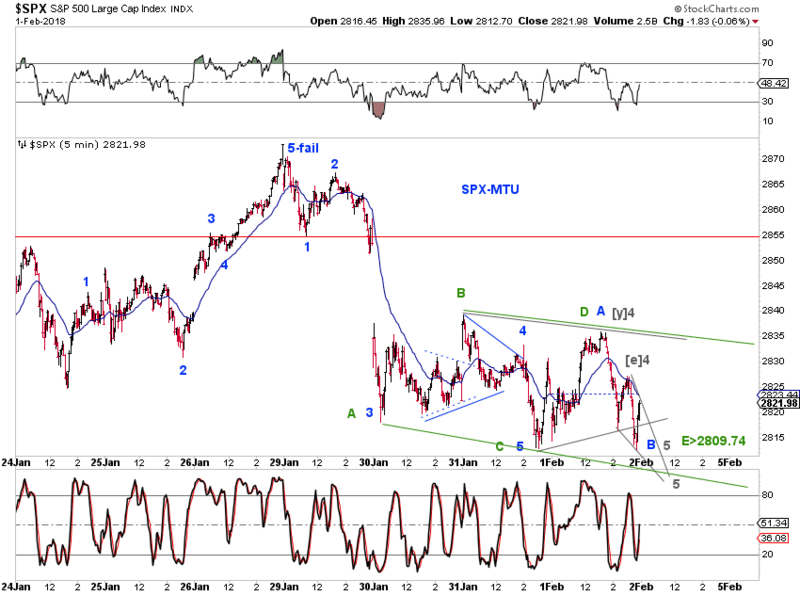 Bullish scenario - red [iv] and green 4. 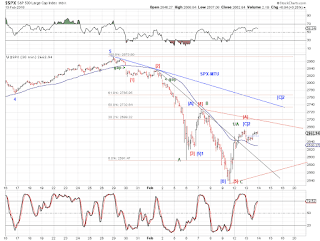 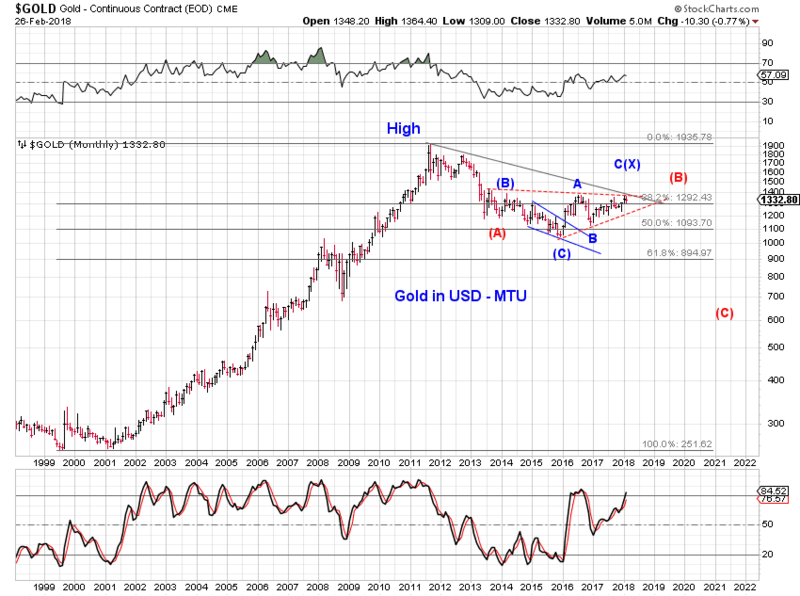 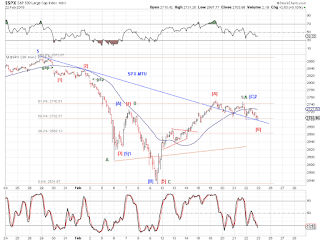 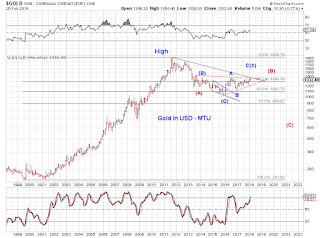 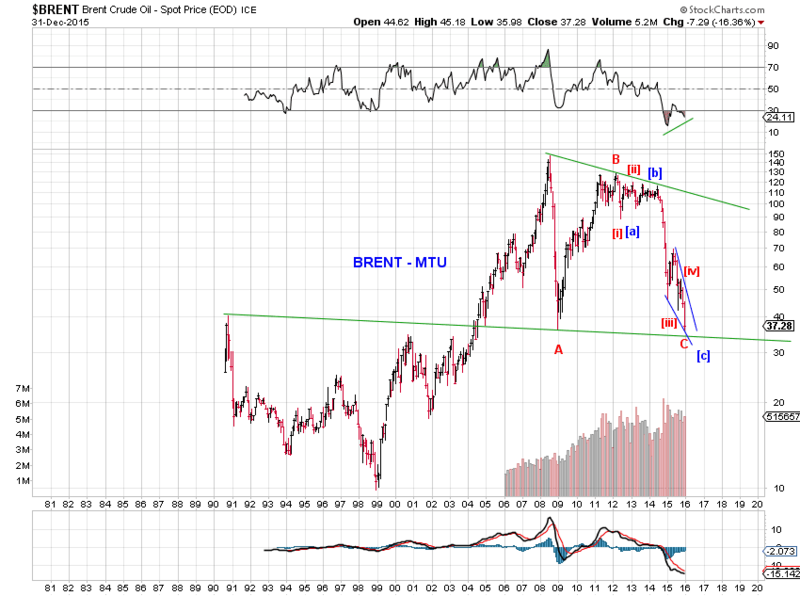 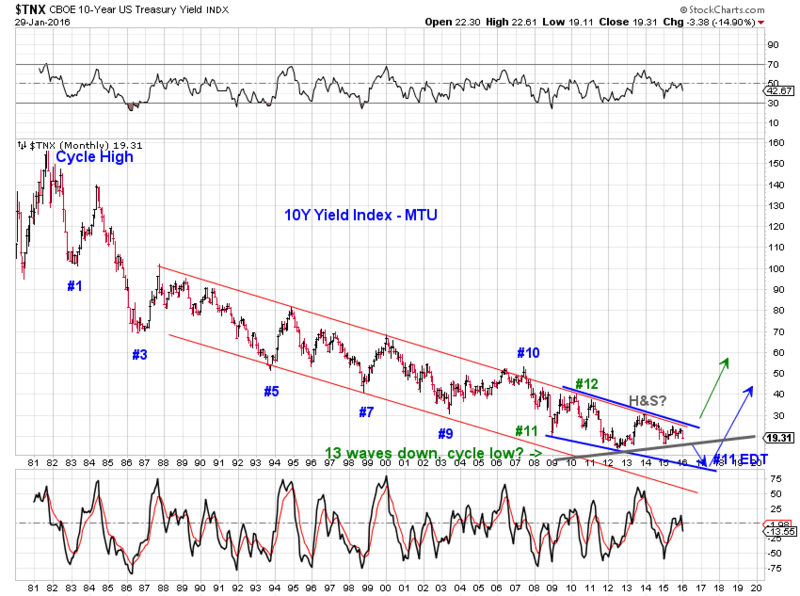 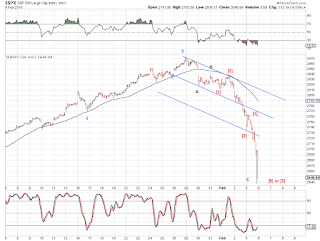 Bearish scenario - blue 1-down. 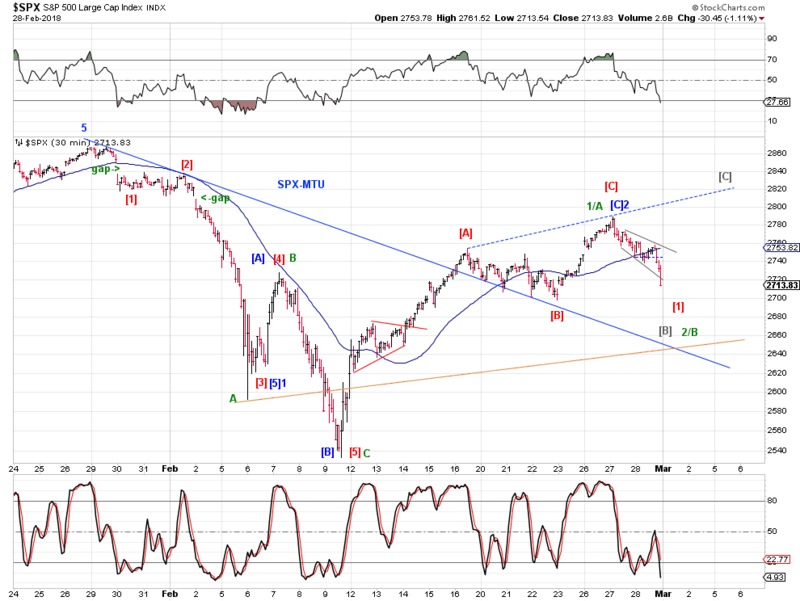 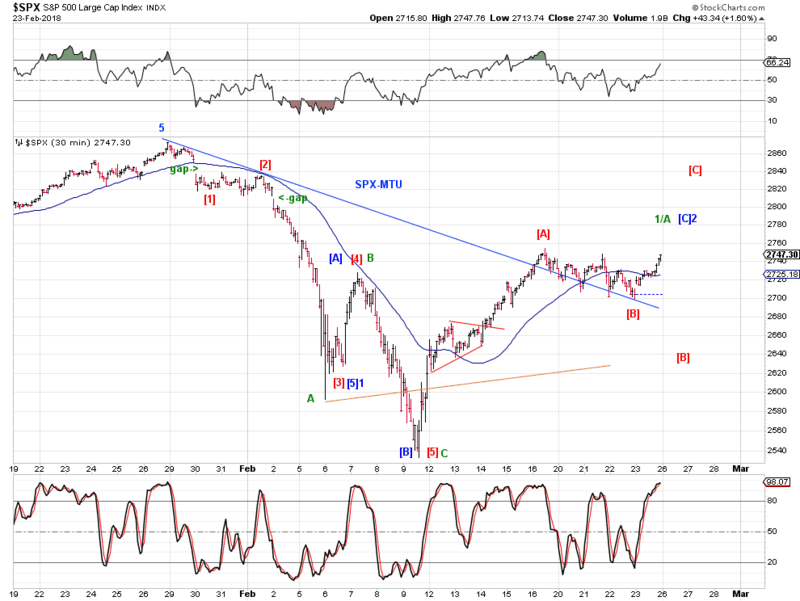 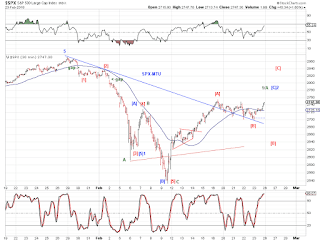 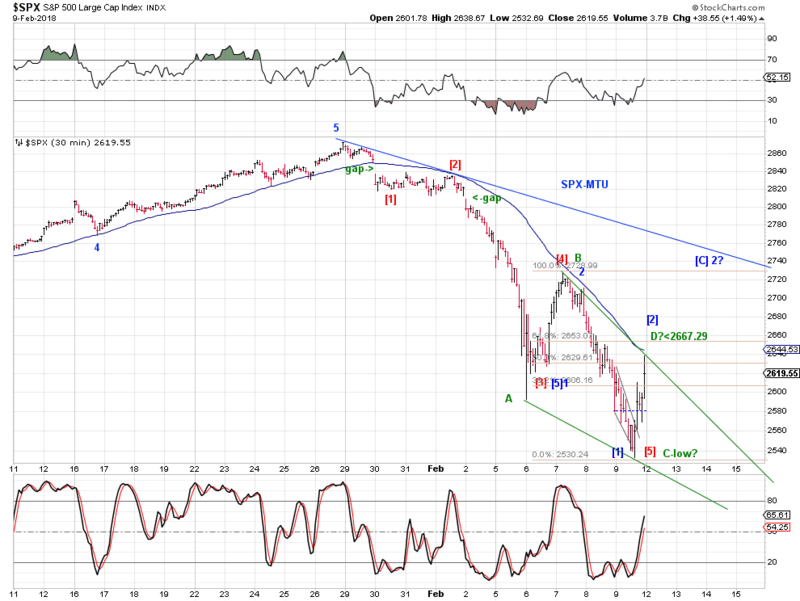 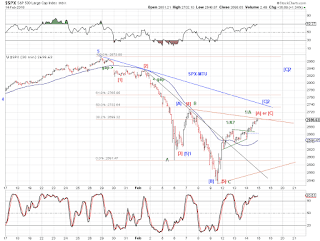 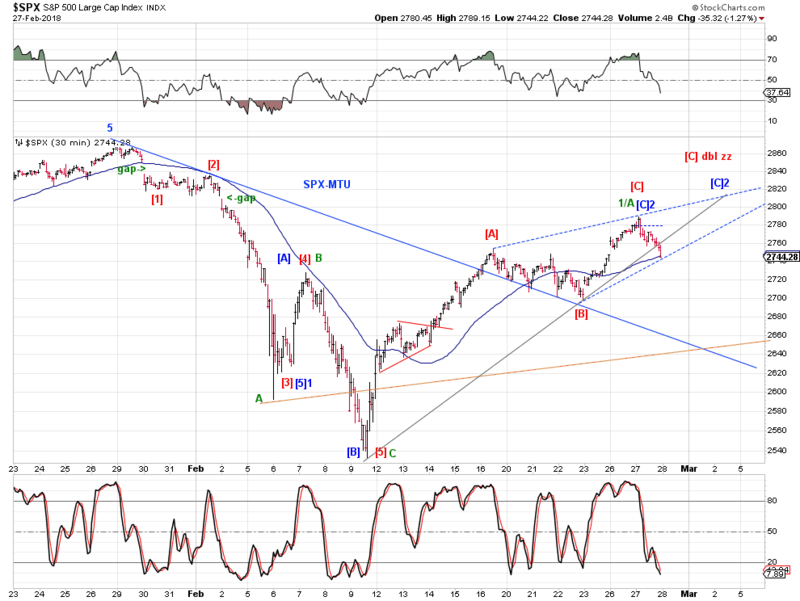 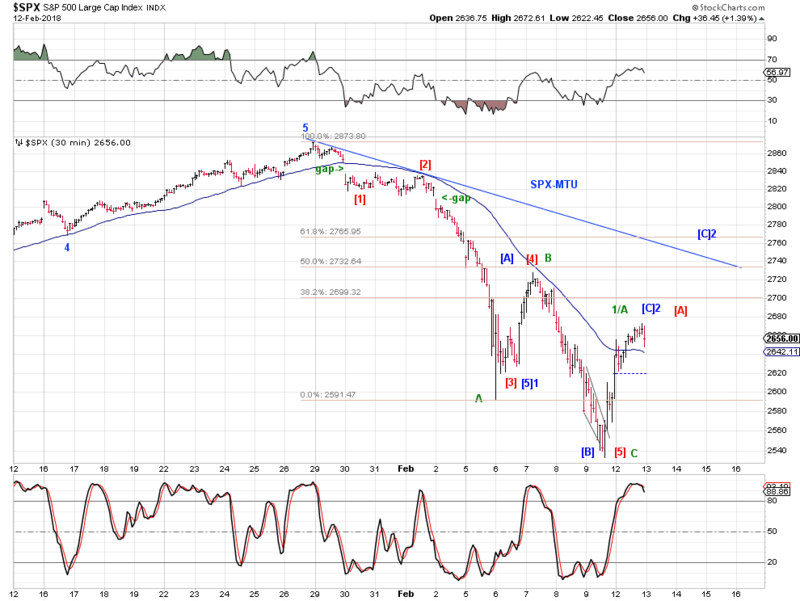 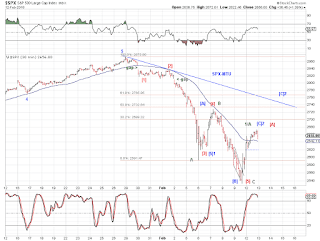 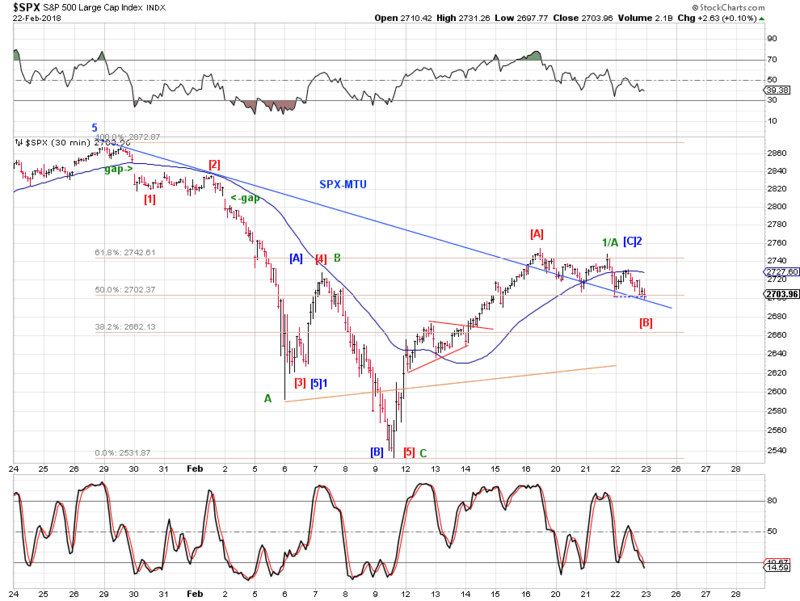 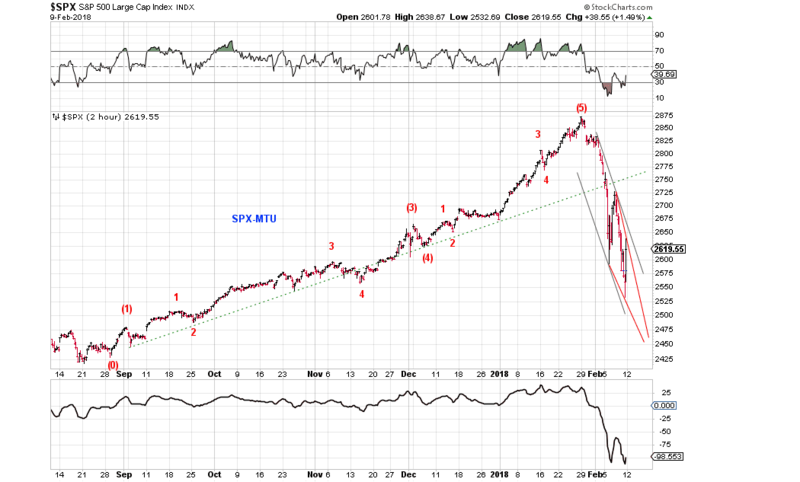 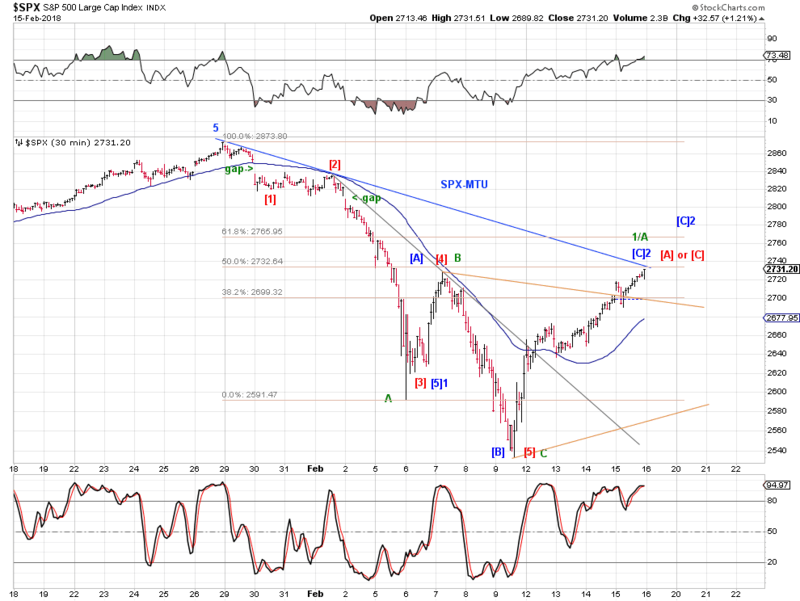 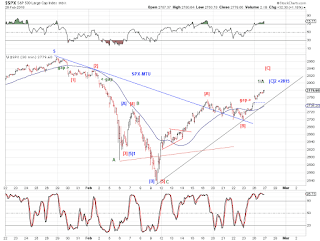 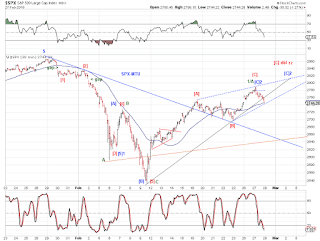 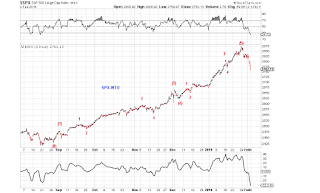 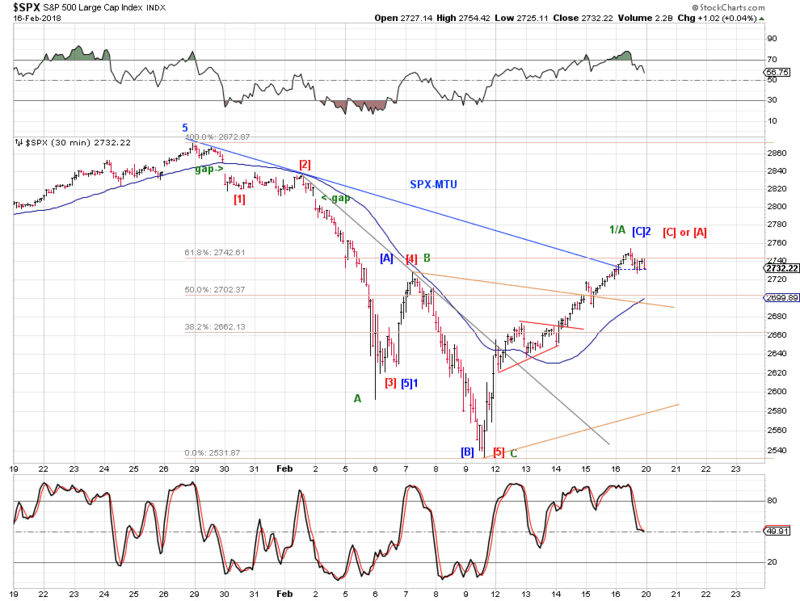 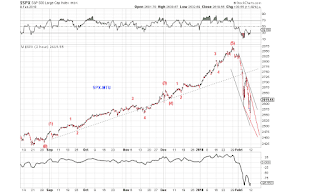 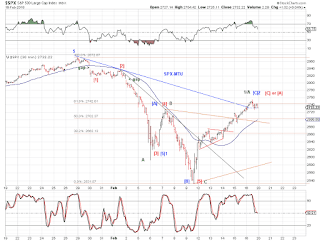 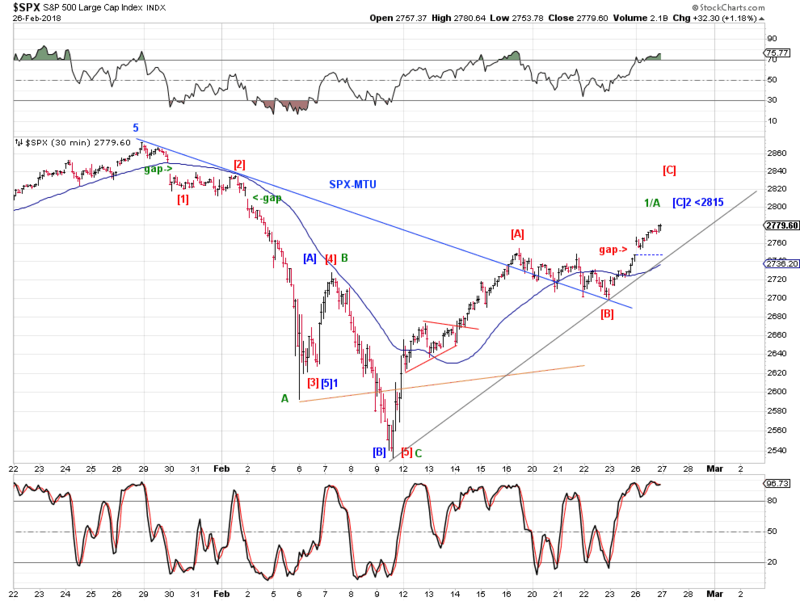 SPX delivered a visual five-down from the top (Chart 2 red). 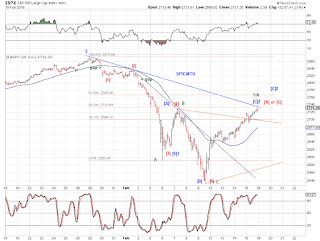 Other options remain interesting (Chart 2 green, blue). 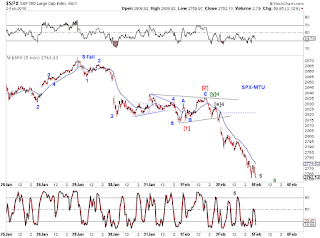 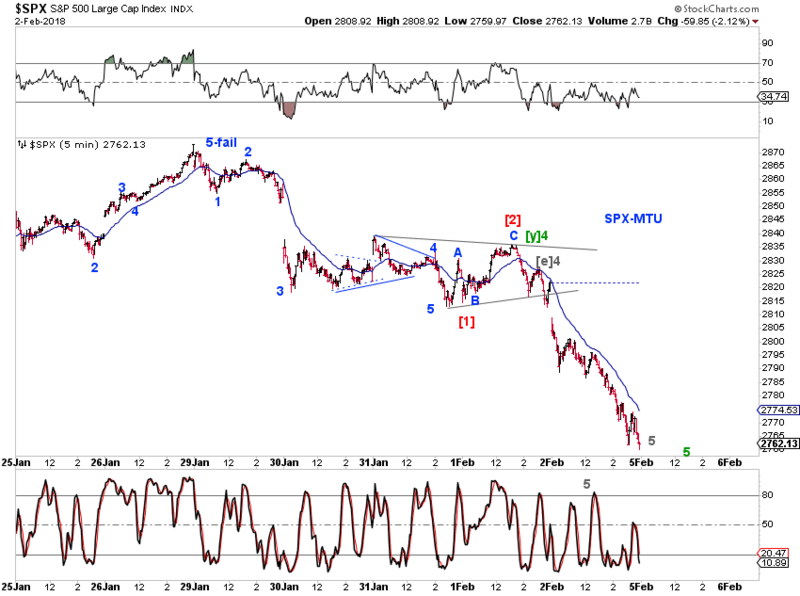 SPX (2648.94) closed in between MA50 (2716.15) and MA200 (2533.87), wiping out more than its 2018 gains in 5 trading days. 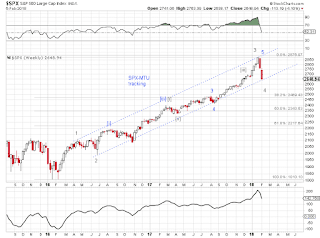 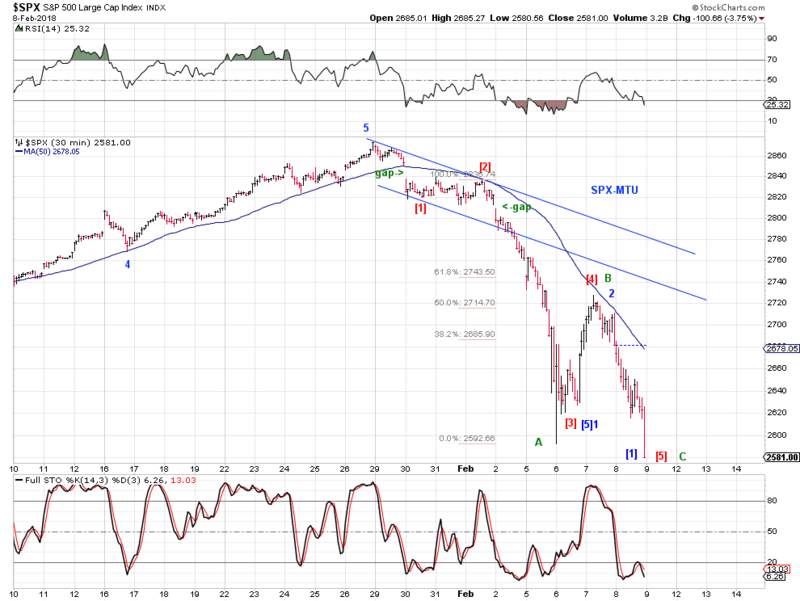 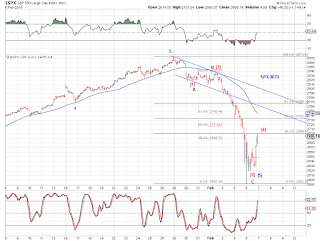 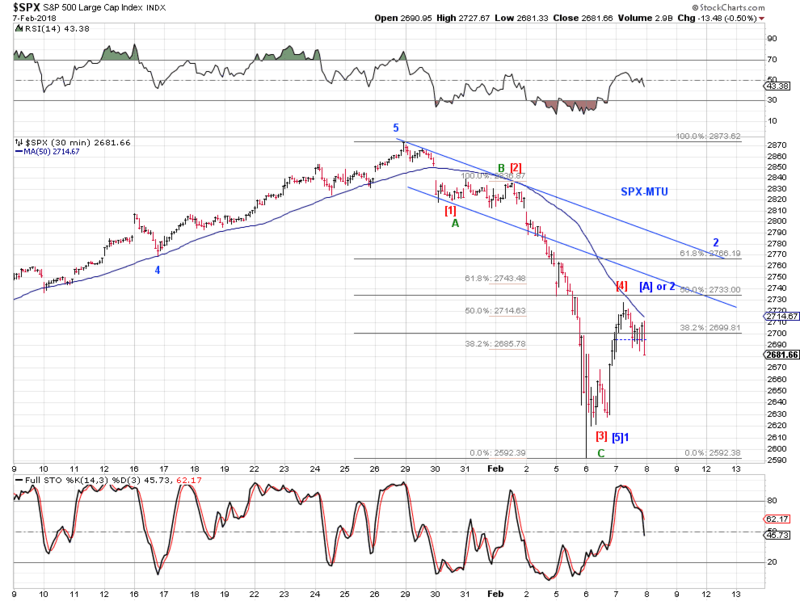 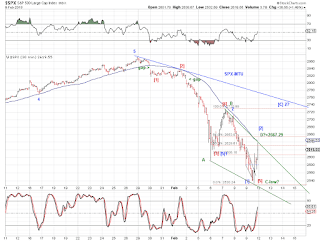 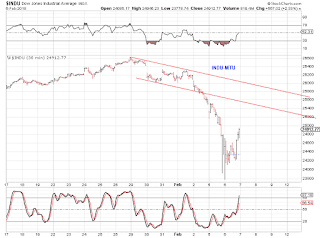 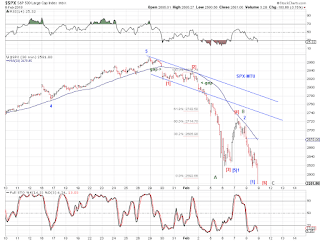 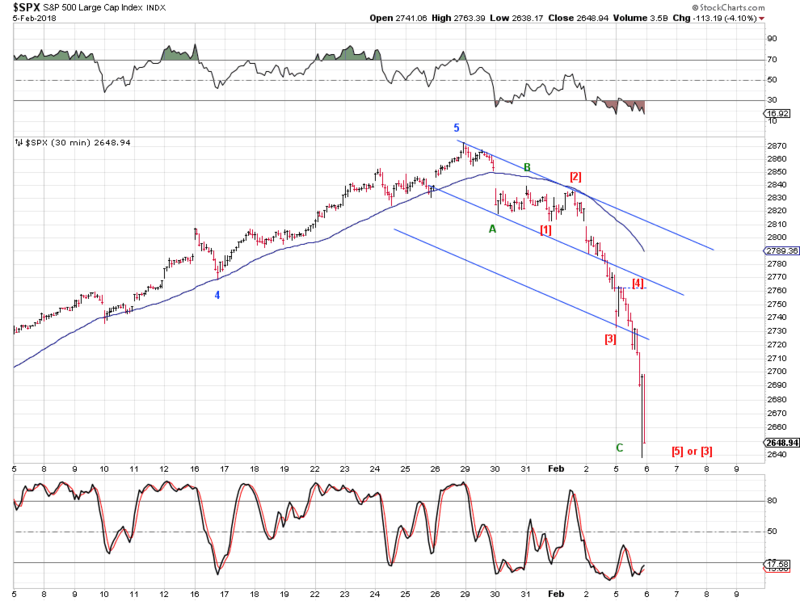 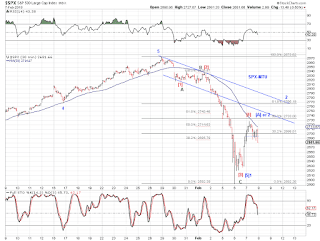 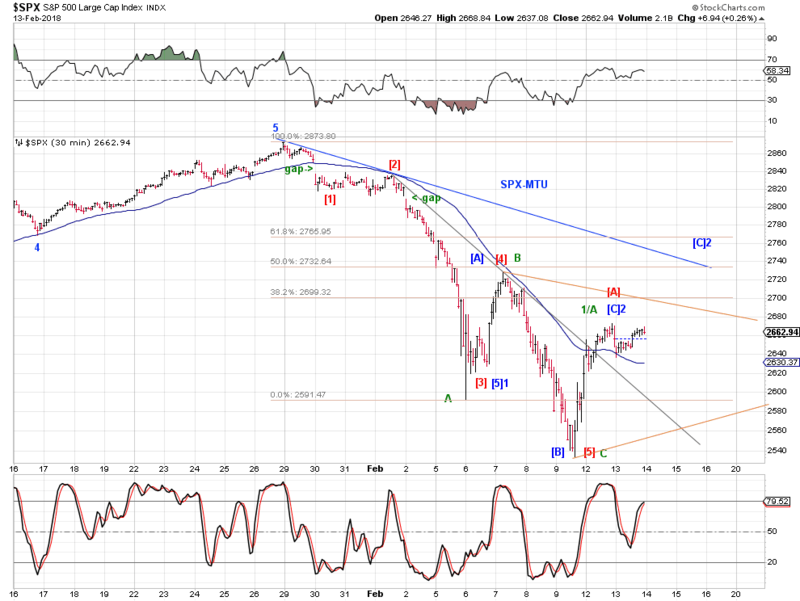 SPX is at its lower channel (Chart 1). 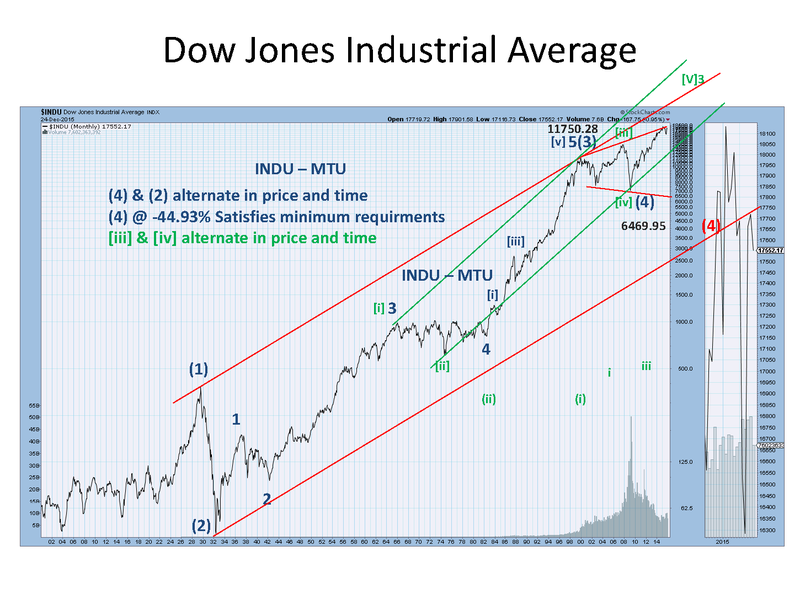 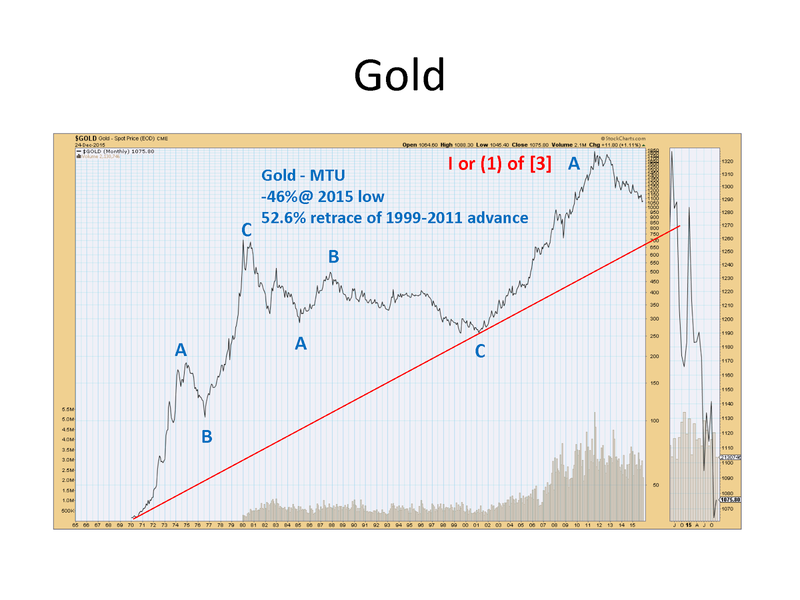 The decline to date can be counted as a mature five, with the possibility that the current area is only 3 of that five or C-down (Chart 2).